One of the best video compilations around. "A real Ghost videos or a trick of the shadows and light? You Decide! Have you captured strange images on Video? Many people around the world capture spirit forms, orbs and dark shaped figures at many haunted locations today. But as we all know not all video evidence of ghosts are real. I am a member of several paranormal forums, web sites and blog sites and I always see the arguments about how a paranormal pic or home video is fake. This site I see handles things better and more respectfully then many others do but it often bothers me as to what many believe is the video evidence that real ghosts exist and they are looking at an obvious fake. I don't have an opinion of any of the vides on other sites that I would wish to comment on. Though some sites the content leaves much to the imagination, but of course no matter how crude or short the video evidence is, I do believe these ghost videos have something special to offer. At a recent Ghost conference I got to talk to several popular Ghost Hunters in the field today. Many of them actually stated to me. "Hey... you don't believe everything you see do you?" And I interjected. "True..., but you have to research the evidence right?" 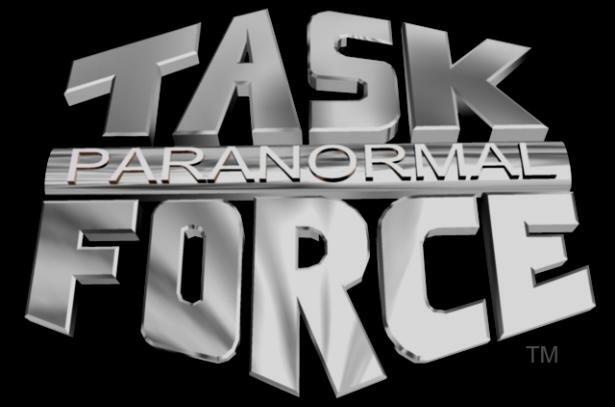 Youtube as well as many paranormal group web sites feature often full length videos of their paranormal findings. Real or not they give you an inside look into the individuals that dare and enter the realms of the dead. Some groups come across very professional as others just show a bunch of people running around screaming their heads off. As I believe you need to see all this to know that our reputations as ghost investigators is often ridiculed by these joke on us haunted ghost videos. Many that you see or often individuals goofing off and trying to perpetrate hoaxes to show us that we can be played. But as we al know who really hunt for spooks and things of cryptid origins you have to take the good with the bad. Paranormal fallout effects all of us in the community toady. The real the fake from the posts on blogs to paranormal radio chatter. The truth of many videos get s convoluted in the fact that even if the video is real someone has found a way to simply fake the evidence through trying to research the evidence. Of course that does not mean the original video documentation was not real it just means it can be faked. The ten best video clips that show the existence of ghosts and other paranormal phenomenon filmed by TAPS up to the end of 2007. -Just so everyone knows....number 7 has not been proven fake, some of you guys are thinking of the queen mary episode where someone staged it. WARNING: This video Below might shock you, and may even scare you! However this is not my reason for posting it. This video is about just what the title states. It's about Ghosts, Sprits, and Demons! This video shows clips that are (To the best of my knowing) REAL! You of course may judge for yourself. I posted this video for the people who think outside the box as I do, I'm talking about the open minded folks. This was also posted, to share that these things are real, and live among us. Do not fear them, but know they are real. Knowing, understanding, and searching truth is my cause. Thank you, and peace be with you all. Please rate my video, and comments are most welcome. Many haunted web sites today boast of their haunted videos. From the collection of the "Largest online collection of ghost videos", scary videos, ghost sightings, and real ghosts caught on tape. But as many of us know or tend to believe ghosts are not real. No matter how many tapes you show a person or what real documented evidence you produce there is always someone or a group of individuals that do not believe you or the evidence of ghost that has been collected. So what do you think is a real ghost on a haunted video investigation and how do you confirm it's a ghost? Many videos are just there to show you what that person went through and discovered. Is it real? Who's to say, But in watching such haunted real ghost video we come to the conclusions based on our own supernatural encounters. Just because a ghost didn't slap you in the face doesn't mean it can't happen. Or a ghost living in your bum might be too strange of a thing to even really get a grip on. But as we know today their or those that swear it happens to them often. Many through their videos are trying to make lights of real ghost hunting not just trying to alter the paranormal reality we all know and love. Many who debunk these videos think it's too good to be true to see a real ghost caught on video week after week. We all know not all cases produce such exciting real evidence to the nth degree. But as paranormal investigators we all or in search of the real proof that will convince the world that ghosts and the afterlife or real. Some hunt for ghosts to satisfy a personal yearning others do it for the fame and popularity it brings them. But what does it actually do? 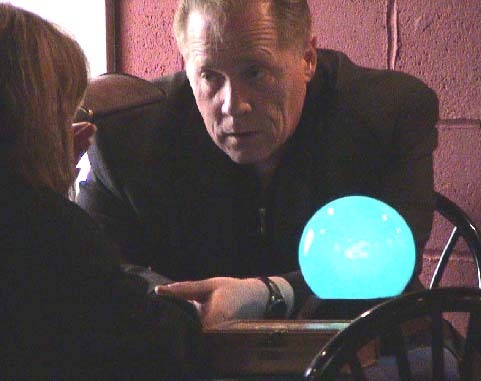 We as paranormal investigators seem to be lumped into the paranormal collective that if one group or well known person in the community fakes their results and evidence then we all do. This stigma of "Paranormal Fallout" seems to effect us all no matter how real and scientifically documented the evidence is. There will always be debunkers and there will always be proof just as their will be out right false evidence and those that go out of their way to trick or hoax us. Some believe that there or no haunted places just haunted people that bring their own ghosts along with them to perform. Most who hunt for the hauntings that or over the top might just be playing with a single ghost entity and not know it. This ghost might just be following a person or a group around and causing the paranormal phenomena to occur. Instead of investigating different ghosts it is the same ghost showing up at all that they investigate and imposing their new found strength to fool the ghost hunters who think they have found yet another ghostly occurence to investigate. Lisa Lee Harp Waugh the great American Necromancer has often in length spoken about how some ghosts tend to cling or follow certain individuals. She goes on to speculate that certain ghosts are bullies and often chase lesser ghosts even those that haunt specific locations into hiding. Hence the ghosts that is captured on Film or electronic equipment is always the same ghost whether the investigator knows it or not. Though her paranormal or supernatural beliefs seem a a little controversial many are starting to see her point first hand.